Did you know that you can build a Habitat for Humanity home without ever picking up a hammer? In 1991, the first Habitat for Humanity ReStore was launched in Winnipeg, Manitoba. Since then, ReStores have expanded to more than 920 stores in five countries and have raised over $100 million to build and repair homes for hardworking families. That’s right. When you shop, donate or volunteer at a Habitat ReStore, you are building homes and hope all over the world. ReStores operate as nonprofits under Habitat for Humanity affiliates. They share the same mission: Seeking to put God’s love into action, Habitat for Humanity brings people together to build homes, communities and hope. ReStores raise additional funding to support this mission. Secondary benefits of ReStores include: providing access to lower-cost building materials and household goods to the community, being a public face of Habitat for Humanity in local communities, providing additional volunteer and sweat-equity opportunities, and keeping usable items out of the landfill. 1. Donate: We accept new and gently used appliances, furniture, building materials, household goods and more from individuals and companies. 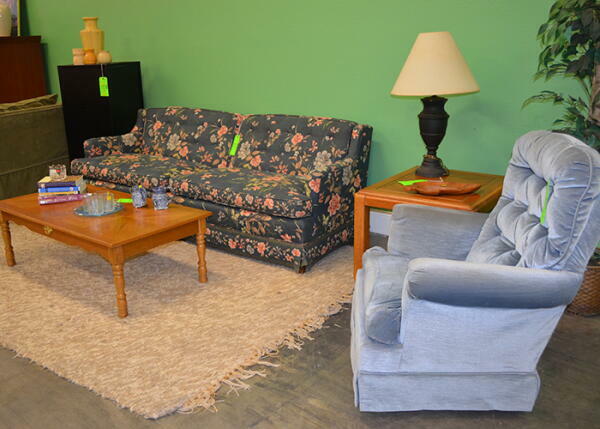 Learn more about the items our ReStore accepts here. 2. Shop: You never know what you’ll find at the ReStore! We sell new and gently used furniture, building materials and so much more to the public at a fraction of the retail price. Get a sample of our inventory here. 3. Volunteer: Typical volunteer activities include processing donations, arranging sales items, performing special projects, cleaning, clerical work and assisting customers. Learn more or sign up for an info session here. The Habitat for Humanity ReStore Serving Durham and Orange Counties is located off 15-501 at 5501 Durham-Chapel Hill Blvd. We’re open Monday-Saturday, 10:00-6:00. Thank you to the ReStore’s Communications Manager, Caitlyn West, for writing this blog post. She will be writing 4 blog posts about the ReStore this month, so stay tuned!